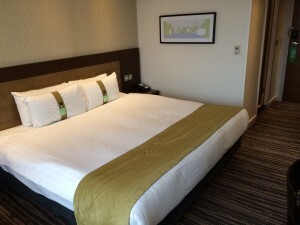 What is the best IHG Rewards Club hotel in London? What are the best IHG Rewards Club redemptions in London? On 25th January, IHG Rewards Club increased the points required at many of its hotels. With that in mind, I thought it was worth another look at my preferred choices if you are looking for a free night in the capital. IHG Rewards Club – the InterContinental, Holiday Inn, Crowne Plaza etc rewards scheme – has a huge portfolio of hotels in London. If you are looking to redeem your points here you will be spoilt for choice. Importantly, the points cost of a hotel often bears no resemblance to the quality of the hotel. Given that IHG is constantly opening new hotels and changing the points required for others, I thought it was worth taking another look at the best IHG Rewards Club options in London. These are my personal thoughts – I don’t know the exact location of every IHG property or its physical condition although I have stayed, or had family stay, at most of the ones I discuss below. In particular, I’ve not visited the new Indigo in Leicester Square (the chat is small rooms and I can’t imagine how it is worth 60,000 points) or the Holiday Inn Kensington High Street (very bad early feedback after rebranding but I believe it has been refurbished, IHG rating 3.9). I have also listed, for what it’s worth, the score out of 5 that reviewers on ihg.com have given the hotel. The highest rated hotels in Central London are Crowne Plaza Albert Embankment (a new one, 4.8), Staybridge Suites Vauxhall (another new hotel, 4.8) and the Indigo at Tower Hill (4.8). 50,000 points per night is a great deal for a hotel which has the perfect location, almost opposite The Ritz. The rooms are very large, by London standards, with some having two double beds. The rooms have not been refurbished since the mid 1980’s based on my last visit but I would trade that off for the location and space. Website. IHG rating: 4.2. These are the four ‘high end’ hotels in the portfolio – don’t be fooled by any of the other Crowne Plaza properties! In 2016 we reviewed, back to back, Park Lane and the O2. O2 is a nicer hotel, by a long way – including an excellent pool – but you need to be happy with the location. Park Lane, despite the £75m refurbishment a few years ago, has uninspiring rooms. Kimpton Fitzroy had an £80m refurbishment recently and looks amazing, but the standard rooms are small – see our Kimpton Fitzroy review here. Kimpton Fitzroy is 70,000 points per night. 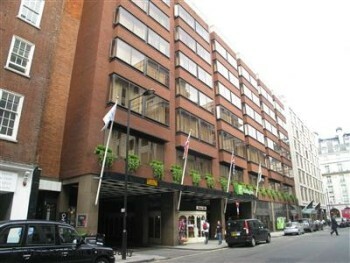 Park Lane is 70,000 points per night (IHG rating 4.4). Crowne Plaza The City is 55,000 points (IHG rating 4.5). InterContinental London O2 is 45,000 points. (IHG rating 4.7). At 40,000 points per night, this fully refurbished Holiday Inn should be OK. It also has a pool. The location is a bit out of the way, however, and calling it ‘Kings Cross’ is a bit optimistic although it is walkable if you don’t have luggage. I’ve not been inside but feedback from HFP readers is generally positive although rooms are small. Website. IHG rating: 4.1. If you have any other suggestions for London redemptions, please let me know in the comments below. Suggestions for the worst value redemption are also welcome …. Any recommendations for a IHG London hotel with a good late night bar. Looking for a hotel to stay at after a Wembley concert. There was talk of them opening a sky lounge when I was there a while ago but have not heard any more if this on recent visits.